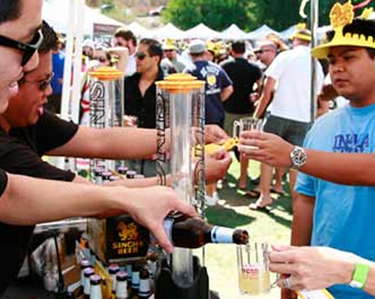 Beer finally gets its day in the sun, at the OC Beer Fest Saturday from 1 to 4 p.m. at Irvine Lake. For an admission price of $40 you can sample more than 200 beers including OC’s top breweries (The Bruery, Bootlegger’s Brewery, and Back Street Brewery, to name just a few) and top domestic and international labels. Bring a designated driver, they pay just $15 to hang with you (no beer sampling) and enjoy seeing Metal Shop, a fun Spinal Tap parody band. (Just register online as a DD.) Foods trucks and bbq, too for an additional cost; $5 for parking. To purchase tickets and for more information, click here. And as a Greer’s OC subscriber, you’ll receive a 10% discount. Just enter code: OC when you purchase tickets online. Irvine Lake at 4261 Santiago Canyon Road in Silverado. Whether you think you have what it takes to become the next Real Housewife of Orange County, or you just want to see who shows up for the casting of season six, stop by HARPER’S Boutique today from 3 to 4 p.m. in Corona del Mar. At The “Real Housewives of Orange County” casting call and shopping party you can meet the casting directors as they search for the new addition and find some favorite shopping specials—15% off. HARPER’S is one of our favorite boutiques—chic and fun finds in all price ranges—and it just received a new shipment of spring dresses (floor and short lengths), rompers and accessories. HARPER’S Boutique at 2610 East Coast Highway in Corona Del Mar. 949.644.7467.